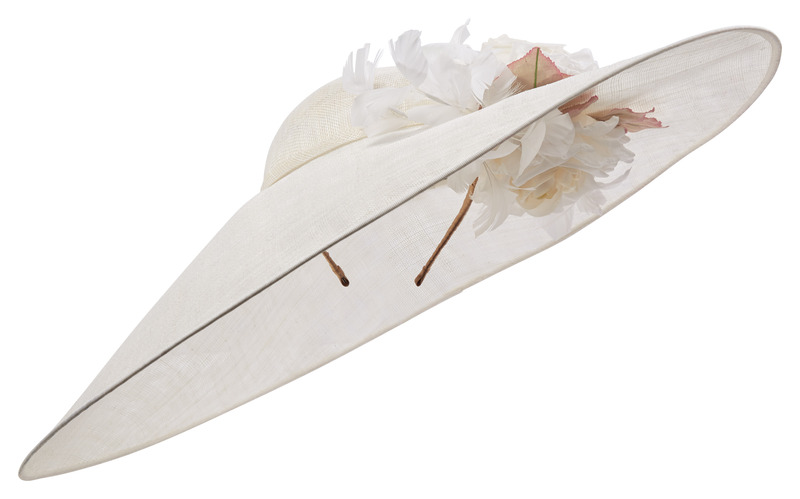 The hat comprises a 21.5″ east-west sinamay brim. 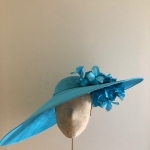 The crown of the hat is shallow and slightly off-centre to the design. 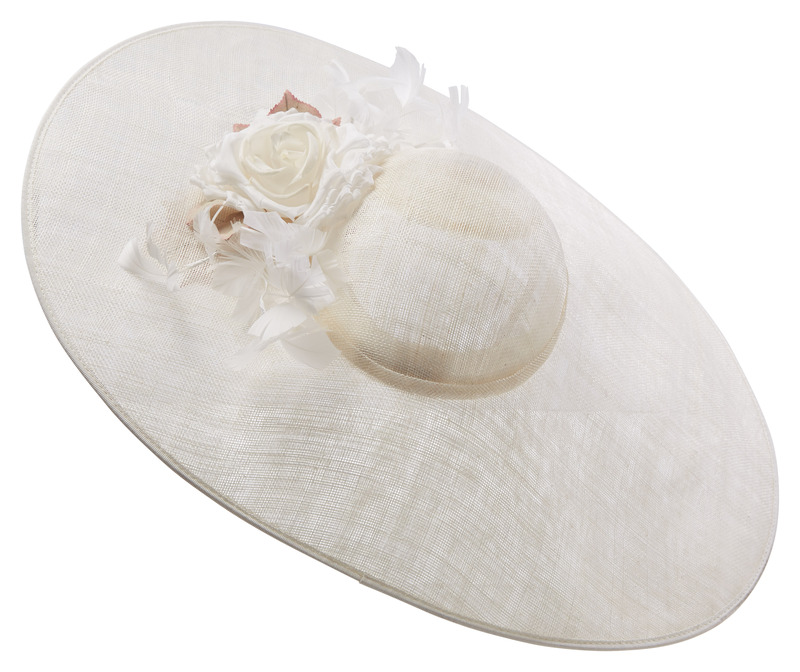 This is then adorned with 2 large roses, one to the top side of the hat and one underneath the brim. 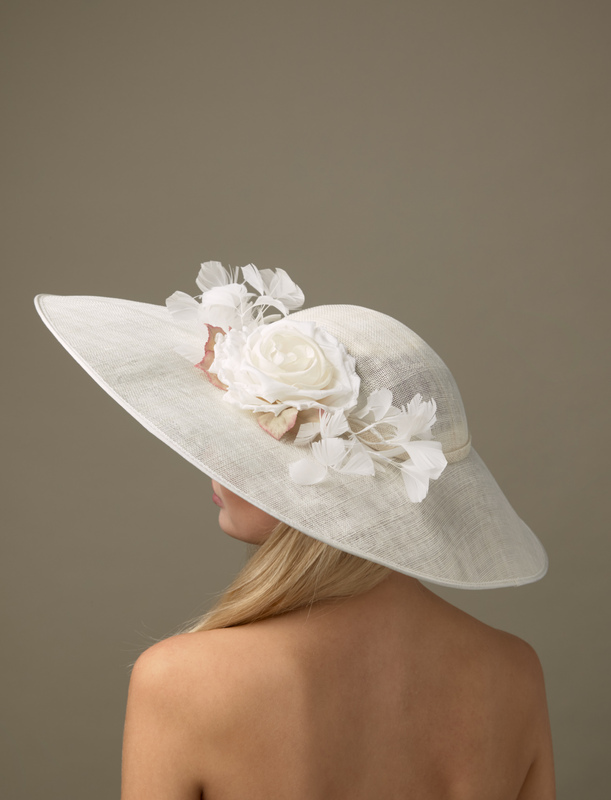 The roses are then set-off with some delicate feathers. 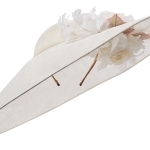 Because the crown of the hat is shallow, this hat comes on a headband which we will match to your hair colour. 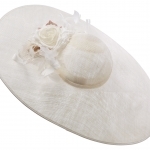 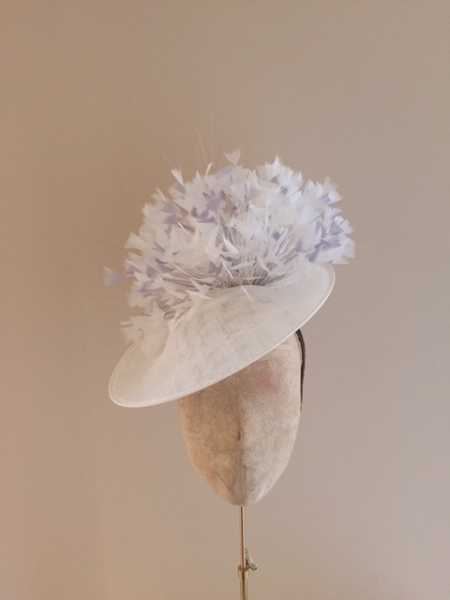 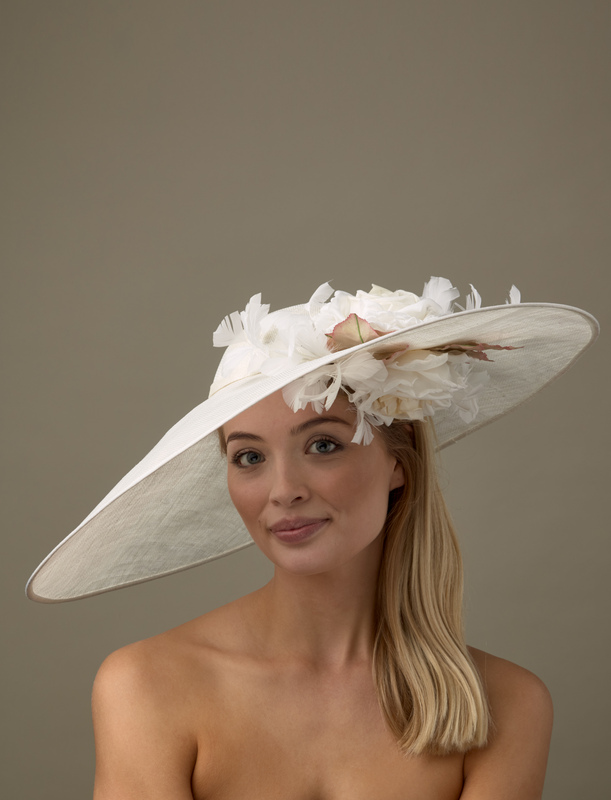 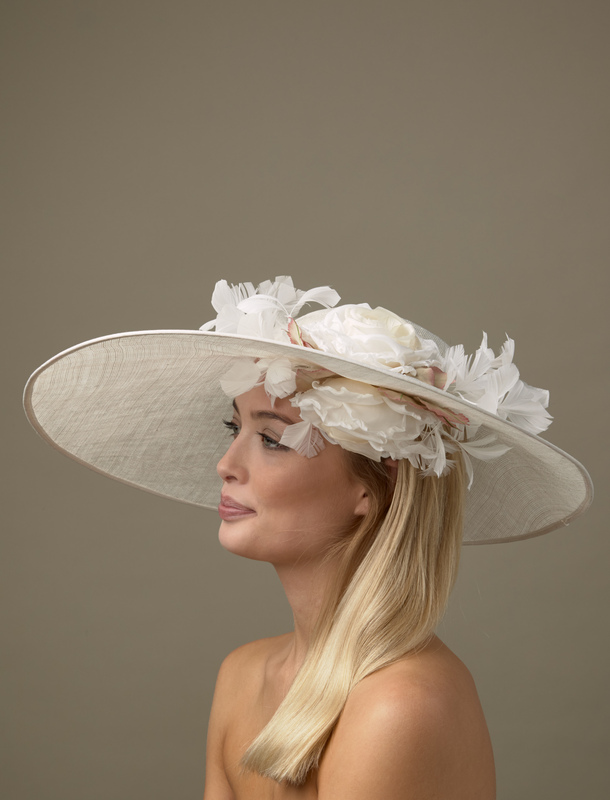 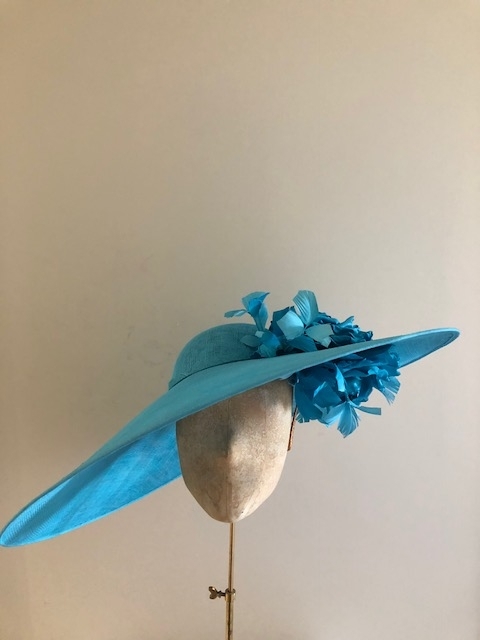 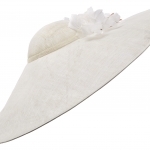 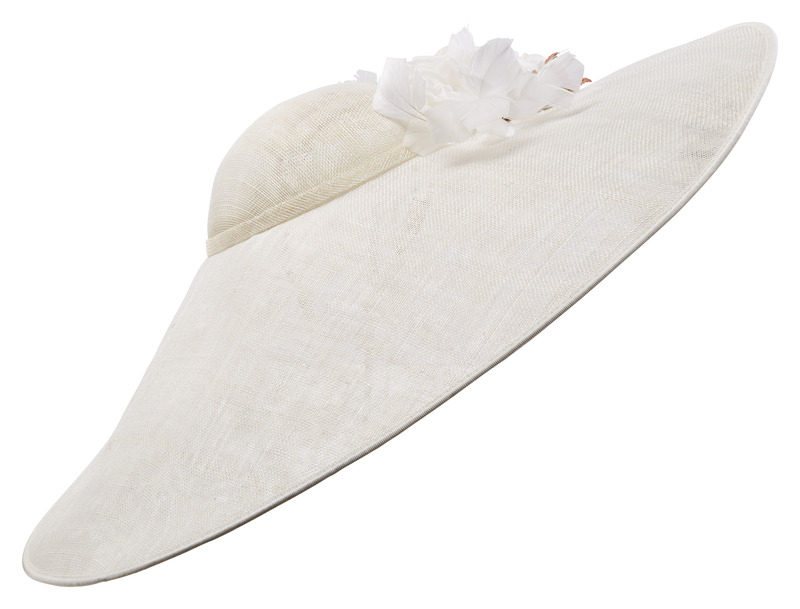 The Collins hat is a beautiful, feminine summer hat which will look fabulous at any wedding or race day.